‘This Broke Me’ NeNe Leakes Says She Cried After Witnessing Cynthia Bailey’s Lies & Betray On ‘RHOA’ Finale! On Sunday night’s season finale of The Real Housewives of Atlanta, fans witnessed Cynthia Bailey do some underhanded things to NeNe Leakes — essentially ending their friendship. During the finale episode,Cynthia Bailey hosted a party to announce her new Seagram’s cocktail beverage. Drama erupted after NeNe Leakes discovered former Housewife, Kenya Moore, was in attendance without getting the heads up from party host/close friend, Cynthia. As fans know, Kenya Moore and NeNe share a contentious relationship and NeNe expressed that she preferred not to be around the former Miss USA. Press play below to watch. Cynthia vehemently denied knowing Kenya Moore would show up and claimed Kandi Burruss was responsible for bringing Kenya to the event. 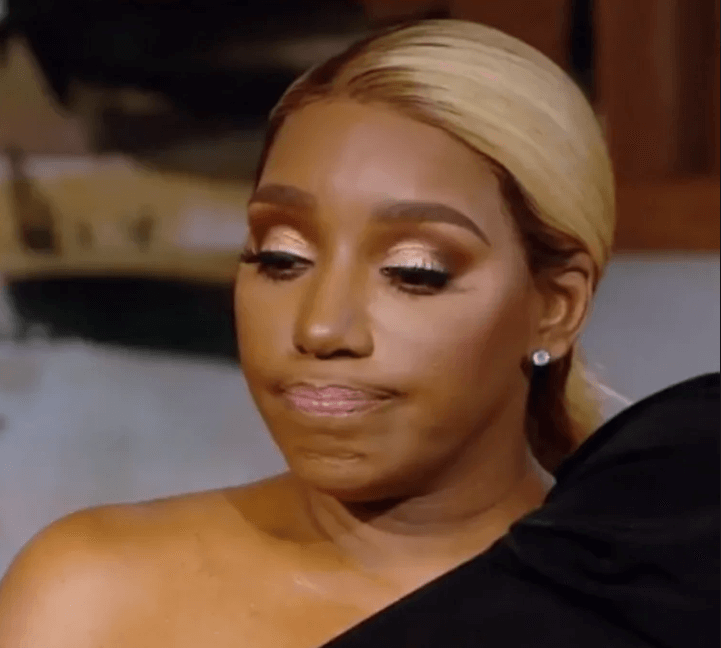 However, Cynthia certainly looked very guilty when a live mic caught her trying to cover up that she plotted to bring NeNe’s rival Kenya Moore back on the show without Leakes’ knowledge. “I’m supposed to act like I didn’t know Kenya was coming,” Bailey, 52, whispered to boyfriend Mike Hill while at the launch event. The former model was again caught covering things up during a convo with Kandi off-camera after the event. After the episode aired, NeNe Leakes hopped on Youtube to break down the drama and explain how she felt watching Cynthia lie and betray their friendship. Press play to watch below. Last month, NeNe Leakes announced on Instagram Live that she was no longer friends with Cynthia Bailey. She claimed that the model was “sneaky and underhanded” and had “lied and lied and lied,” promising fans would see proof in the season finale of The Real Housewives of Atlanta. Share your thoughts on Sunday night’s finale in the comments below! Real Housewives of Atlanta Season 11 finale airs Sunday, March 31 on Bravo, at 8:00 p.m. ET. Cynthia Bailey Doing Damage Control After Being Exposed and Says A ‘Friendship Isn’t Healthy’ With NeNe Leakes!